It looks like country music is proving to be a good luck charm for the Nashville Predators. 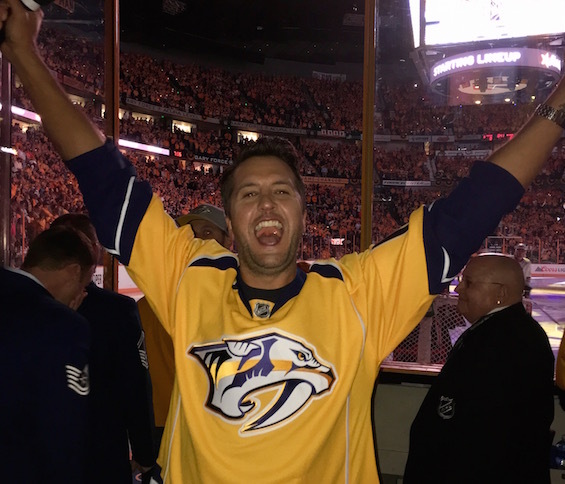 Prior to the Preds’ winning game against the Chicago Blackhawks last night (April 20), Capitol Nashville artist Luke Bryan performed the national anthem. On Monday (April 17), fellow country superstar Carrie Underwood held national anthem duties for the Predators. The Predators completed their first round sweep of the Blackhawks, with a 4-1 win. Bryan was pumped about the game, sharing pics on social media. Of course, Bryan has had practice performing the national anthem this year, as he performed the anthem during the Super Bowl in February with a crowd-pleasing rendition.